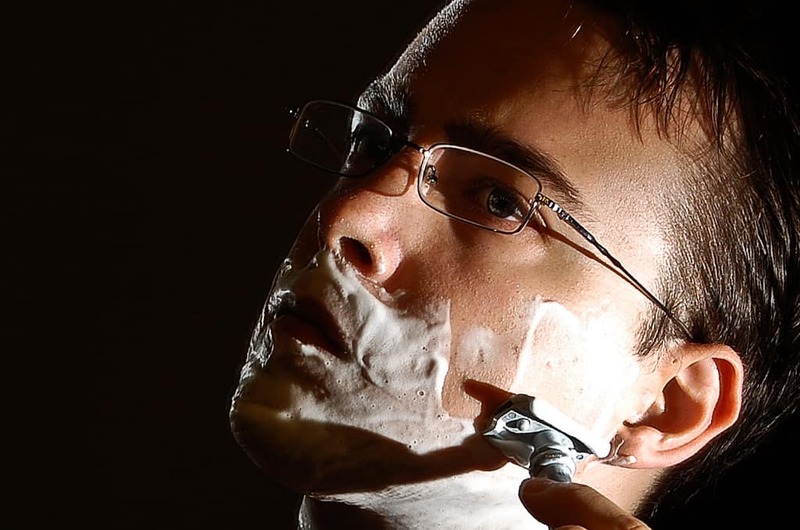 In a recent survey, 59% of men 18 to 29 said they shave regularly. The popularity of a clean-shaven look is nothing new, either, for it hails back to the ancient Greeks and Romans. The Greeks shaved to avoid getting grabbed by the beard in hand to hand combat, while the Romans made shaving a rite of passage and never grew a beard except when in mourning. The reasons people shave today are no doubt quite different from those of ancient times, and the tools we use to shave differ too. The world has come a long way from the bronze and copper razors of the ancients – but there is as yet no consensus on what method makes for the best possible shave. The beauty of an electric razor is the ease with which it can be used. You need not shaving cream, brushes, hot water, or towel. They’re easy to use, create no mess, are easy to travel with, and feel great as they roll over the contours of your face. However, most electric razors don’t get you a very close shave, and they tend to irritate the skin, especially if you have sensitive skin or are acne-prone. Also, you often have to run the razor multiple times over the same location to clip an elusive hair follicle! This can sometimes lead to clogging up pores with oil and chopped up hair particles. For travel, electric razors are excellent. And they’ll do in a pinch when you don’t have time for a “real shave.” If you want to make this your sole shave method, be sure to invest in the highest quality possible to minimize all negative factors. We’re not covering disposable razor sticks here since they tend to be of inferior quality; but a big step up from them is found in disposable cartridge razors, set on clip-on sticks. These are very, very popular today. The first time you shave with a new cartridge, you’ll get a clean, close shave if you chose a good brand. It’s closer than with an electric razor anyway, and there’s little danger of cutting yourself – these are a very safe option. But after a few uses, the cartridges get clogged up with hair, oil, and skin cells. You can rinse and clean out the cartridges to alleviate the problem, but before long, that doesn’t work well either and you have to use a new cartridge, which can add up to $100 or even $200 a year. This is a good choice if you enjoy the extra convenience and safety and are willing to pay the extra price tag. A double edge razor is the traditional shave method that was widespread before the advent of disposable razors and cartridges or of electric shavers. A folding blade on a stick is simply run over your shaving-cream-covered face – with care! DEs are more sanitary and get you a closer shave than the options mentioned above. They are also quite cheap. Once you get the hang of it, they’re relatively easy to use and work well for those with sensitive skin. However, the drawbacks here are: it takes a bit longer to shave, there’s still a greater risk of cutting yourself if you’re not careful, and you can’t take this type of razor on an airplane. For the closest possible shave, you’ll want to choose a straight razor. These do not use replaceable blades like a DE razor does, so you have to keep them extra sharp. Sharpening is easily the biggest drawback, but the benefit is the best possible shave. It takes time to learn to use a straight razor properly and safely, and of course, they can’t go on the plane as carry ons! It will also take longer to shave each day. An alternative to the straight razor is the “shavette,” which is basically the same animal except you can replace the blade as with a DE razor. This cuts down on maintenance time while giving you much the same clean-shaven results. Whether you go with one shave method or another, or use multiple methods depending on the situation and how much time you have on hand – it’s good to at least be aware of the pros and cons of these top 4 razor types for men.